EMBRACE SIGNAGE. Your school's image starts at the front gate. 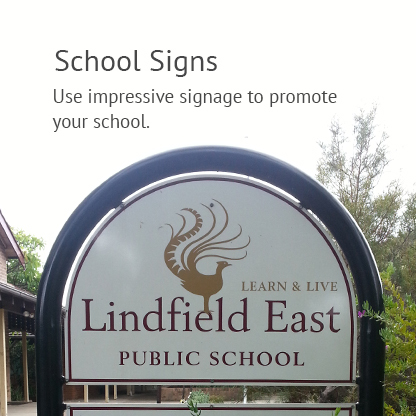 As the leading expert in school signs, Australian schools rely on Signpac for outstanding signage solutions. 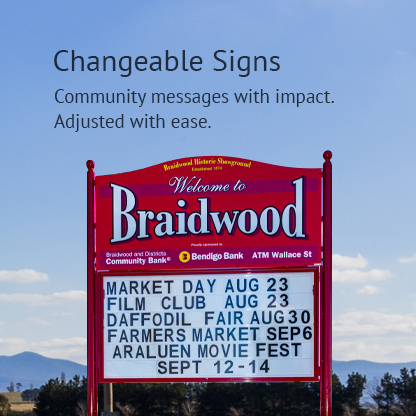 Signs are our business, partnerships are our strength. lasting school signage but also providing expert advice and solutions to help school principals enhance teaching and learning environments. Signpac, 20 years in the business. Our sign products stand the test of time too. Signpac sources the finest grade components from suppliers with the same standards as ours. Our staff are industry specialists that guide customers through the process from signage ideas to installation. 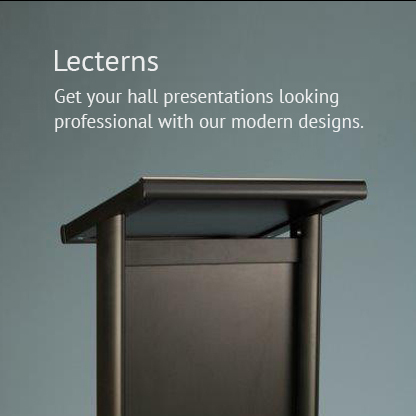 With 20 years’ experience in Australian schools, more principals choose Signpac. Our facility, processes and components are of the highest grade to ensure our signs stand the test of time and the harsh Australian sun. 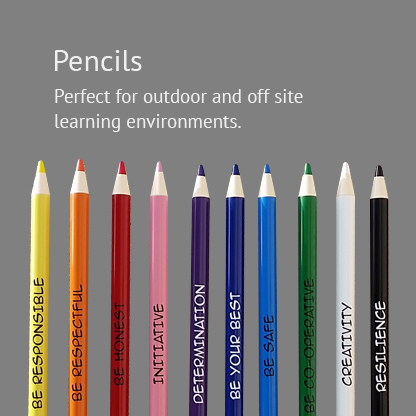 We make sure that colours stay bright and signs suit the purpose they are designed for. To support the Signpac Product Guide, we now offer a digital clipboard, the Signpac Enquiry Cart. It stores your selection of images from our gallery that can be retrieved in a few clicks or emailed to Signpac when you’re done. We will be in touch with you to discuss all the items you are interested in. Signpac Enquiry Cart is easy to use, practical and a great time-saver for busy people. It is the smart way to keep ideas in one place and allow others to understand your signage plans. Browse Signpac’s sign gallery or E-Product Guide today and start collecting ideas to make your school stand out. Students, staff and the community will always appreciate a visually pleasing, easy to navigate school environment. 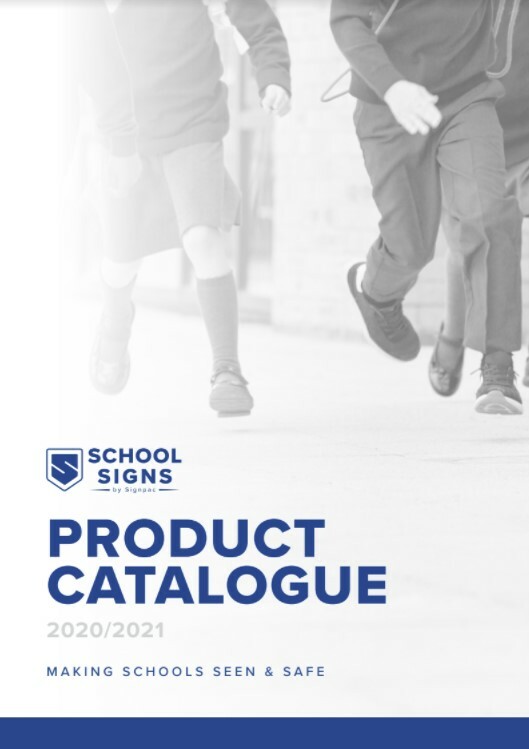 As noted above, Signpac’s Product Guide showcases our wide range of school sign types. Now you can view a digital version of the Signpac Product Guide and see the same full-colour range of products online, anywhere, anytime even on mobiles or tablets. Click on our Product Guide now for instant inspiration and get started today on your next signage project. Staff, students and the school community will thank you for a more functional, more beautiful school environment.